With the right pressure washer accessories from KMS Tools and Equipment, you can tackle your spring cleaning with confidence. Spring has arrived. The birds are singing. The sun is shining. But you can’t enjoy the fresh air and warm rays when your sidewalks, driveway and siding are covered with moss, muck and grime. So it’s time to pull that pressure washer out of the shed and put it to work. Luckily, we have a few pressure washer accessories that’ll help you clean faster (and maybe even better) so you can get back to enjoying the sunshine. Everyone loves a clean house, but not everyone loves climbing a ladder to clean hard-to-reach areas. A long-range soap nozzle can spray soap up to 20′, applying detergent to second storey siding, trim and windows. 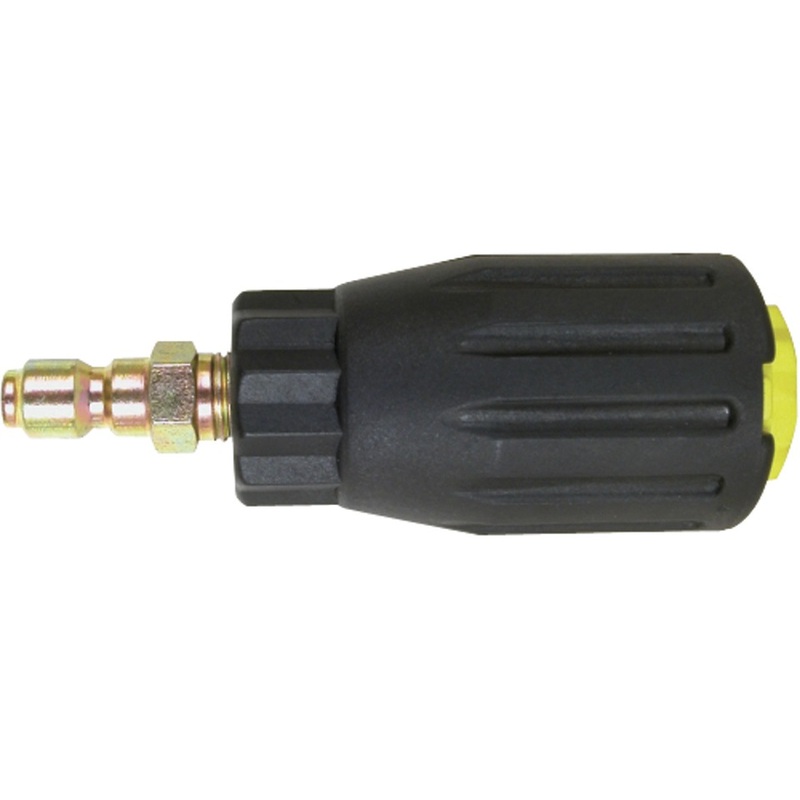 This nozzle, which we sell for $10.99, also delivers your suds in short-range applications, a setting you can toggle by sliding the housing toward you. The first time you pull the trigger on a 3,000 PSI pressure washer, it might feel like you’ve harnessed the power of Niagara Falls beneath your fingertips. But a couple of hours of pressure washing can lead to achy fingers and cramped wrists. Choosing the right spray gun can be the difference between a productive afternoon and a nasty bout of carpal tunnel syndrome. A spray gun with an easy-pull handle, like this Suttner model ($69.99), can reduce trigger force by up to 20 percent and holding force by up to 60 percent. This long-range soaper can apply detergent as far as 20'. 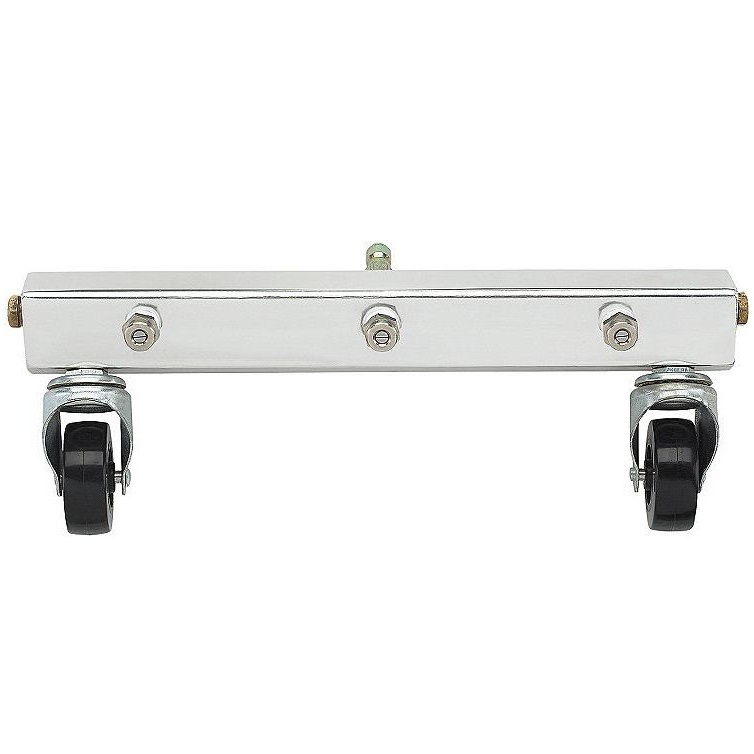 It's also adjustable, so you can use it for short-range applications. A spray gun with an easy-pull handle, like this Suttner model, can reduce trigger force by up to 20 percent and holding force by up to 60 percent. Because this 12" water broom delivers a consistent spray through three nozzles, it won't leave your patio, driveway or sidewalk covered in stripes. This 16" water broom delivers a consistent spray of high-pressure water through its four nozzles, so it leaves an even finish. A Whirl-A-Way is the perfect pressure washer accessory for cleaning driveways, parking lots, tennis courts, pool decks or concrete patios. It lets you work faster and more efficiently when cleaning large areas. Plus, its spinning nozzle arm won't leave stripes behind. 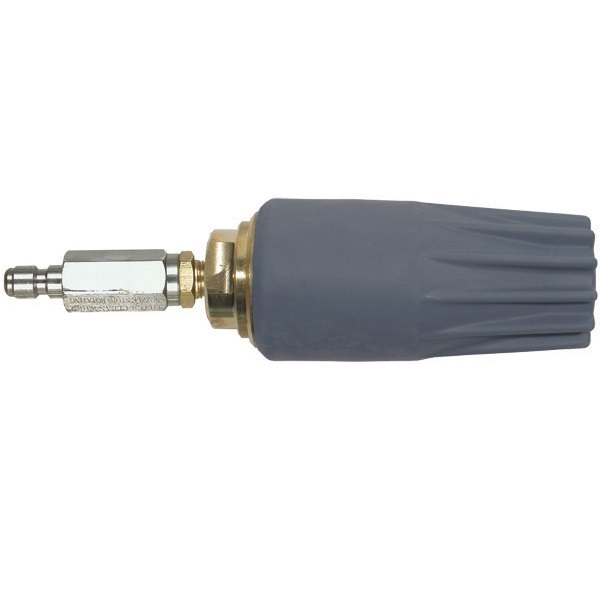 Also known as a dirt blaster or turbo nozzle, a rotary nozzle delivers increased cleaning power over a 4" to 8" area. This one will work with a consumer pressure washer with a flow rate of 3.0 gallons per minute. Also known as a dirt blaster or turbo nozzle, a rotary nozzle delivers increased cleaning power over a 4" to 8" area. 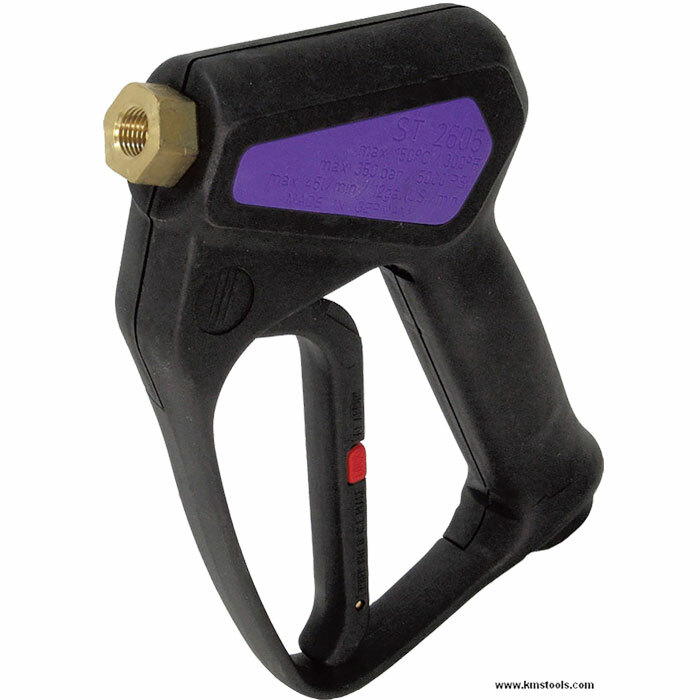 This nozzle has a maximum flow rate of 4.0 gallons per minute. A water broom is a nice option for cleaning sidewalks, decks and driveways. 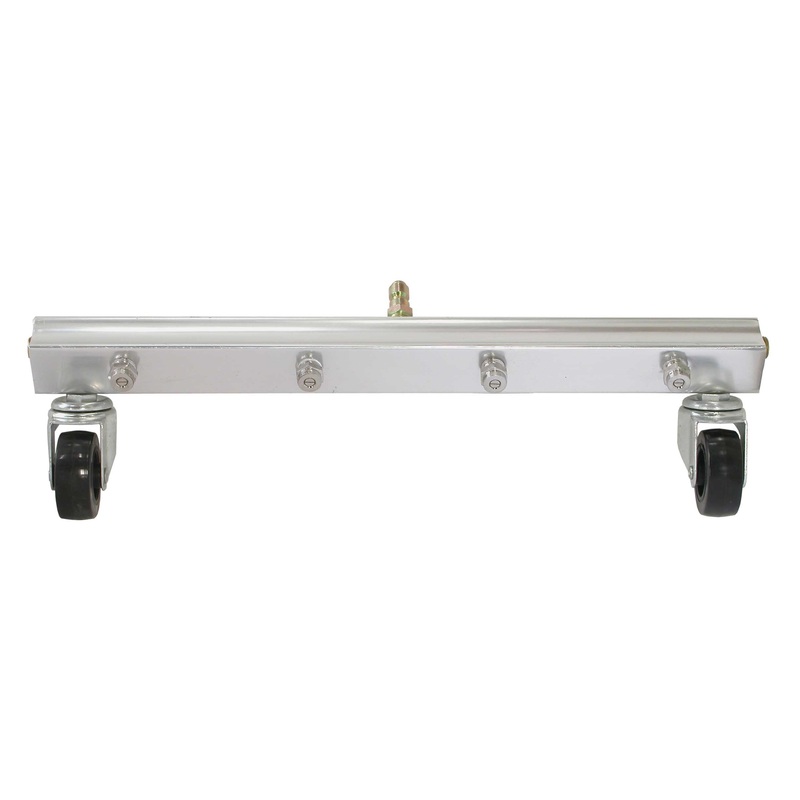 The water broom rolls on casters, which keep the nozzles at an even height to produce a stripe-free finish. KMS sells a 12″ broom with three nozzles and a 16″ broom with four nozzles. Both are $54.99. A Whirl-A-Way expands the cleaning area with two nozzles, mounted on a rotating arm and spun like a high-pressure lawn sprinkler. Fortunately its nozzles are shrouded and face the ground, giving the Whirl-A-Way the look of a futuristic lawn mower. The Whirl-A-Ways we sell are available in three sizes, 14″, 16″ and 20″, and each rides along a nylon skirt so it won’t damage your concrete or paving stones. 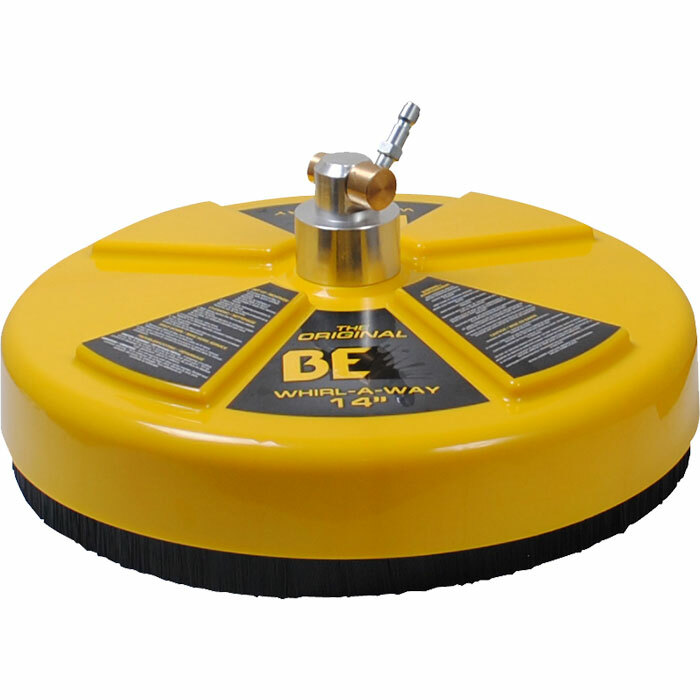 A Whirl-A-Way is the perfect accessory if you need to clean a driveway, parking lot, tennis court, pool deck, concrete patio or any other large, flat surface. 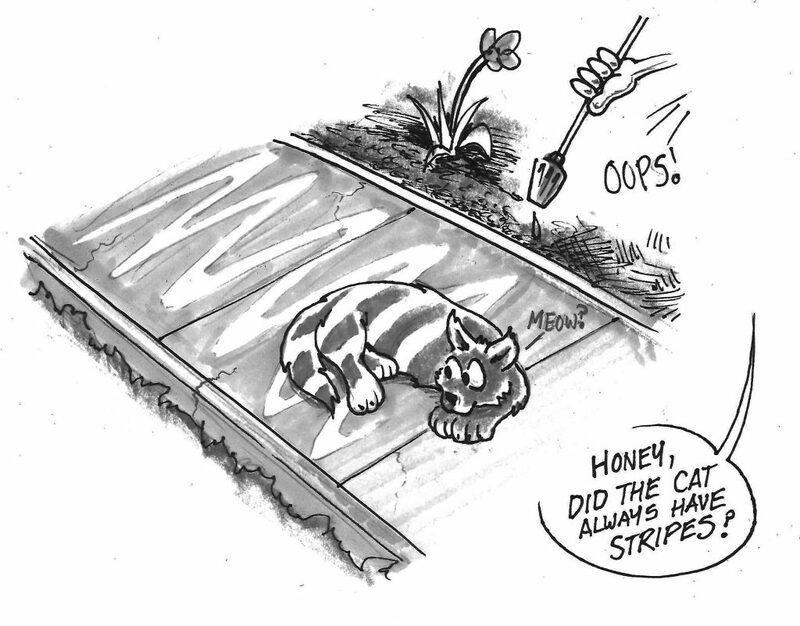 Like a water broom, a Whirl-A-Way keeps a consistent height, so it doesn’t leave the stripes and streaks often left behind by standard angled tips. Our 14″ Whirl-A-Way is on sale this month for $129.95. We also have a 16″ model for $429.99 and a 20″ for $519.99. Where other nozzles fall short, a rotary nozzle, also known as a turbo nozzle or dirt blaster, will succeed in removing the toughest caked-on dirt, moss and grime. How does it work? Inside its bulbous shell, the rotary nozzle houses a zero degree nozzle that whips around in a spiral, propelled by water pressure from your machine. The furious spinning action spreads the powerful-yet-narrow cleaning ability of the zero degree nozzle over a 4″ to 8″ area, so you don’t have to hold the nozzle as close to the worksurface as you would with a standard angled tip. Choose a rotary nozzle to match the flow rate and pressure output of your washer. A commercial, high-output machine usually requires a rotary nozzle with an .035 or .040 orifice. 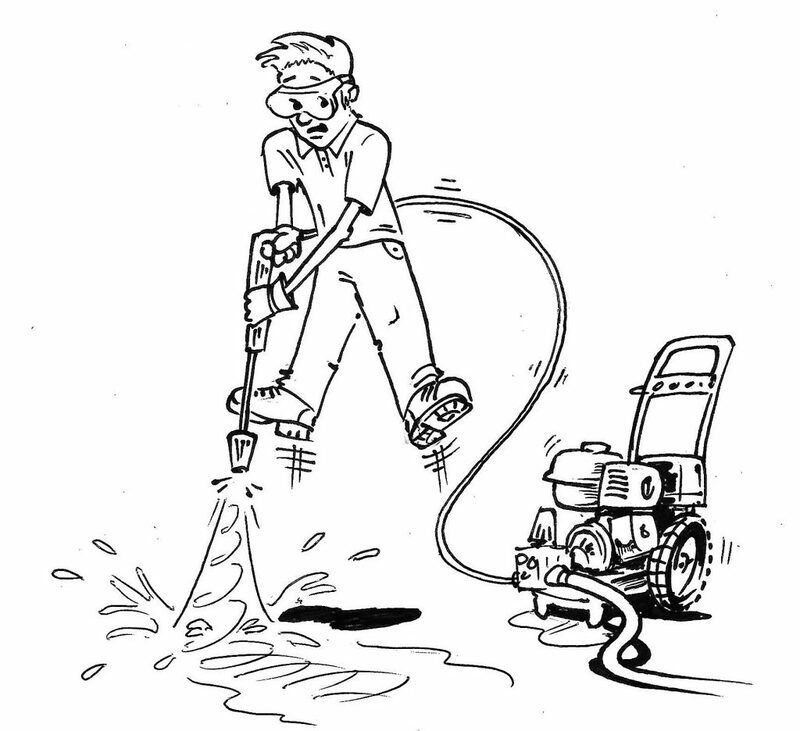 A residential pressure washer, which typically produces lower pressure and flow, can use a rotary nozzle with a .025″ or .030″ orifice. 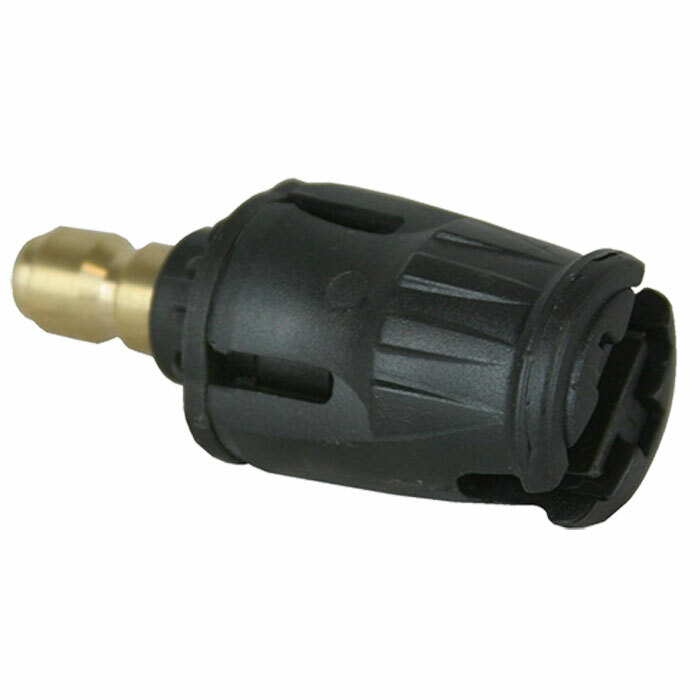 KMS sells rotary nozzles starting at $44.99. Paired with the right pressure washer, some rotary nozzles are mean enough to cut through wood. So watch your aim and use caution when cleaning concrete, too, as the force of these nozzles can erode the surface of your sidewalk, patio or driveway. 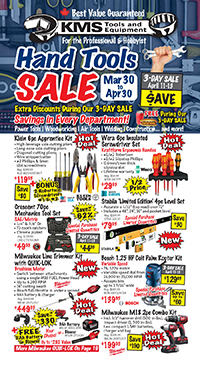 Whether you are cleaning your house, driveway, deck or sidewalk, KMS Tools and Equipment sells commercial and consumer pressure washers, hoses, wands, lances, nozzles and a ton of accessories including soapers, spray guns, water brooms, Whirl-A-Ways and rotary nozzles—everything you need to make your yard sparkle. KMS Tool Repair also services pressure washers in Coquitlam, with pick-up service available through our Abbotsford and Langley locations. This entry was posted in Archives, Outdoor Power Equipment and tagged accessories, BE Pressure, cleaning, pressure washers by Your Friends in the Tool Business. Bookmark the permalink. Pressure washers are great, but you can really take things to another level by using certain accessories, and I think you’ve done a great job at outlining some of the better options available. The longer nozzles are almost certainly a necessity at this point, and any accessory you can get to minimize stripes will be a solid investment. Thanks for sharing! I highly recommend rotary nozzles and wand extenders. Both will save you a huge amount of time and physical work. Copyright © 2019 The Tool Corner. All Rights Reserved.